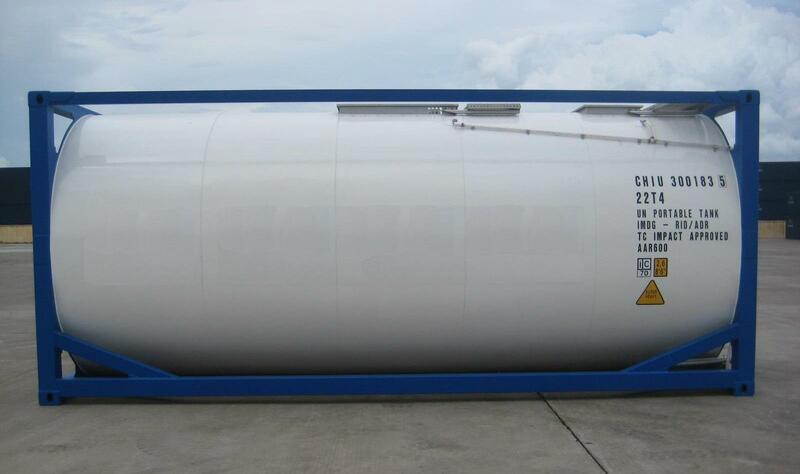 ISO Tank Containers are constructed in accordance with strict international codes for the worldwide carriage of bulk liquids on land or sea. Their international standard size is 20ft long, 8ft wide, and 8ft 6in high - the cylindrical pressure vessel is set within this ISO frame. 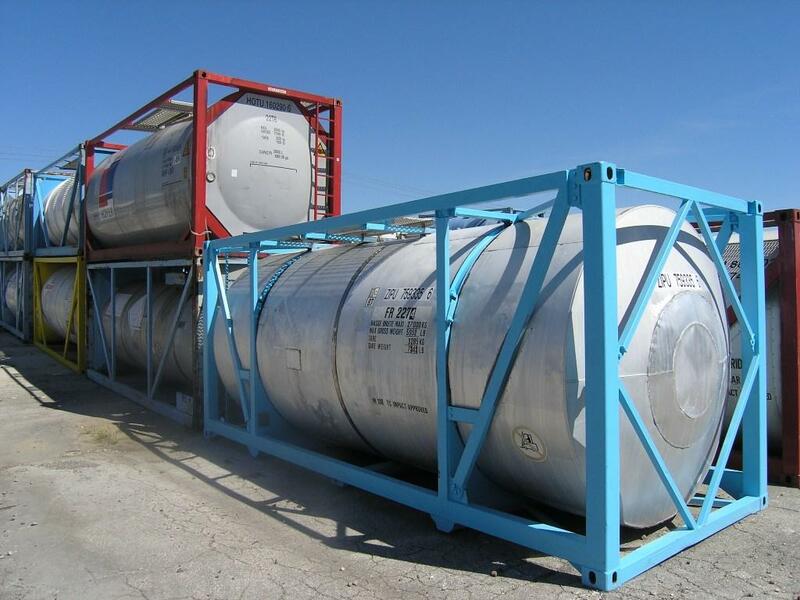 IMO Type 1 - Hazardous Tanks: Approved for the transportation of substances of Class 1 and Classes 3 to 9. These liquids have a flashpoint of less than 0 deg C. Examples are: Explosives, Flammable liquids, Radioactive material, Corrosive and Toxic substances. 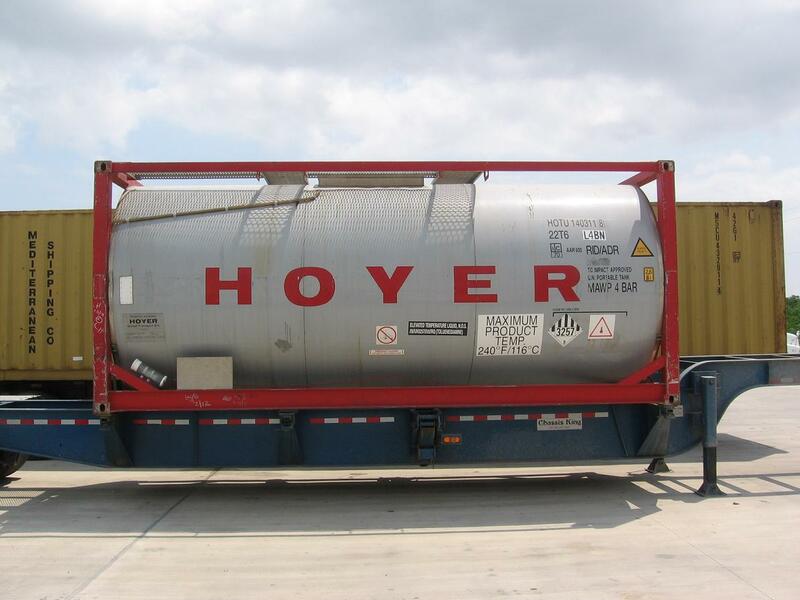 IMO Type 2 - Low Hazardous Tanks: Approved for the transportation of substances of Class 3 that have a flashpoint of 0 deg to 61 deg C with no secondary hazard requiring a type 1 tank. Examples are some combustible liquids like diesel fuel, and cooking oil. IMO Type 5 - Gas Tanks: Approved for the transportation of non refrigerated liquefied gases of Class 2 - these tanks are generally made of mild steel instead of stainless steel. The listing of IMO Types has been replaced by the "T" code system (ie., 22T4). This system has to be read in conjunction with the current regulations applicable to the transportation of hazardous materials in UN portable tanks.